Patrick Ferraiuolo is a 35-year veteran of the Department. Patty began his career at the Correction Institution for Men (CIFM). After working in CIFM for two years, he was transferred to the Manhattan House of Detention (MHD) where he remained until being promoted to Captain in July 1987. His first assignment as a Captain was CIFM, where he worked in the housing areas for two years. He was then transferred to one of the prison barges in Manhattan, MTF II, assigned to the intake area. In the winter of 1990, he was transferred to OBCC. While working in OBCC, he held many different posts such as Intake, Clinic, and Security Captain for CPSU. Shortly after being transferred to OBCC, he was elected a union delegate. As a delegate, respect and admiration was a mutual feeling between him and his peers. It was always apparent that whenever a Captain needed assistance Pat would give 110%. After working in OBCC for more than seven years, he was transferred to the Manhattan House of Detention (MDC). Because of his efforts as a union delegate, the Captains at OBCC awarded him with a plaque recognizing him as their honorary delegate for his years of fighting to maintain the Captains rights and dignity. In July of 1999, Patty was elected to the Executive Board as the Sergeant at Arms. Two years later, he was appointed to the Financial Secretary position. As an Executive Board member, he has always believed in total representation for all Captains. Whether it meant showing up at a roll call or a party for a Captain that was retiring, attending a parade, going to visit Captains at their facilities to talk and assist the delegates in working out problems, Pat always put the needs of CCA members first. 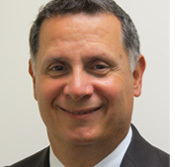 One of his main functions as a Board Member for the past ten years has been working with Frankie and Gentile, the CCA Legal Counsel, assisting in the pretrial OATH hearings. His years of experience as a Captain have proven to be extremely beneficial to the CCA and its members. On January 1, 2007, Patty was promoted to 1st Vice President. As the 1st VP, he focused his energies on the membership. On April 1, 2009, Pat took over the reins of the CCA as President. After working the jails for over twenty-five years, Patty knows first hand just what a Captain is up against each and every day and he vows to ensure that all Captains continue to receive the very best Union representation possible. Patty knows that the CCA has always had the best interests of all members first and represented them well. His message to the Executive Board is there is always room for improvement. That is Patty’s main goal along with improving benefits and ensuring that each and every Captain is provided with the best representation available. Captain William Inman began his career in the Department on February 14, 1983. He was assigned to AMKC and worked in various locations in the facility. He was promoted to the rank of Captain on November 30, 1990 and was assigned to GMDC. Because of his versatility and assertiveness, he was assigned the task of supervising high classification inmates on the north side of the facility. Billy’s involvement with the CCA began in 1992 when he was elected by his peers to represent the Captains of the George Motchan Detention Center as their Delegate. Billy was the recipient of the Honorable Mention Medal for an act of extraordinary personal bravery performed in the line of duty on June 26, 1996 during an inmate disturbance. The Honorable Mention is the second highest Departmental Medal. Billy remained Delegate until 2000. He was transferred to Brooklyn Courts in 2001 and he was elected to the Delegate of Brooklyn Courts. He continued to ensure that all Captains are treated with respect and dignity for the job they do each and every day. 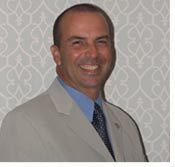 In 2003, in recognition of his years of being a dedicated and committed Delegate, then-President Peter D. Meringolo and the Executive Board appointed him to the Sergeant at Arms position. Two years later he was elevated to the Legislative Chairman position, a post that he was re-elected to by overwhelming majority in June 2007. As Legislative Chairman, Billy was busy cultivating relationships with members of the NYS Senate and Assembly in Albany and working hand in hand with the CCA Lobbyist, Peter D. Meringolo. On April 1, 2009, Billy was appointed to the position of 1st Vice President when Patrick Ferraiuolo assumed the Presidency. As the 1st Vice President, he will continue to strive for the excellence he has achieved in the past. He is willing and able to undertake the additional responsibility required of him in his new title serving and representing the CCA membership at large. Billy is dedicated to strengthening our Union and improving benefits for our members and their families. He will continue to assist all Captains and remind them not to lose focus of the struggles we have gone through in the past and continue to work collectively to better our Union. Billy currently works out of the Union Office. Lawrence D. DeBianchi began his career with the Department on July 19, 1982. His first assignment as a Correction Officer was the Brooklyn House of Detention. He remained at there until he was promoted to Captain on March 1st, 1988. As a Captain, he was first assigned to the A.M.K.C. and later Lawrence was assigned to BCF, GRVC, SOD and JATC. Lawrence was assigned to VCBC in 2001 and is currently the Control Room supervisor on the 1500x2300 hours tour. Lawrence was first elected as CCA Alternate Delegate for VCBC in 2001. In 2004 he was elevated to the Delegate position. During his tenure as a CCA representative, Lawrence earned the respect of his fellow Captains by his leadership and dedication to serving his constituents. Lawrence’s dedication to worthy organizations is not limited to the CCA. He has been a member of the Columbia Association since 1982. In 2009 he was elected as Vice President of the organization until his appointment to the CCA Executive Board in 2014. Lawrence brings not only his experience and knowledge, but also his dedication, energy, and commitment to all of the members of the CCA. Otis A. Blount began his career with the Department of Correction on December 15, 1980. After completing his training at the Correction Academy, he was assigned to the Anna M. Kross Center, where he worked a variety of posts. He was promoted to Captain on October 27, 1989 and was assigned to the North Infirmary Command where he was assigned to the CMC Maximum Security area. In March of 1995, he was then transferred to the George Mochan Detention Center where he was assigned as the steady Intake Supervisor and Facility Operations Captain. Currently, Otis is assigned as the facility’s Environmental Health Supervisor. 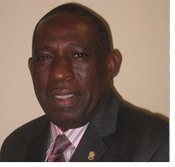 Otis served as an Alternate Delegate and Delegate at GMDC for the past ten years. As CCA Delegate, he has successfully resolved conflicts effecting Captains by bringing issues to the facility’s management and carrying through on the issues to resolution. Otis always has the best interests of all Captains at heart, with full support and serving as a positive role model for his peers. Otis’ hard work and dedication to the CCA did not go unnoticed. In June of 2009, he was appointed to the CCA Executive Board as the Sergeant-at-Arms. 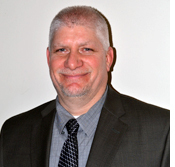 In February 2013, CCA President Patty Ferraiuolo appointed Otis as Financial Secretary. Throughout his tenure as a Captain and Delegate, he has always been committed to our union and its members. He has great compassion for all Captains in the Department. His diligence, strong leadership and experience helps to guide him through the challenges the CCA faces in the future. The Executive Board is thrilled to have him serve. The CCA’s Legislative Chairman is Captain Joseph Ferramosca. Joe is a 36 year veteran of the Department and brings a wealth of knowledge and experience to the Executive Board. Over his career, Joe has been assigned to a variety of Commands and Units. As an officer, his first assignment in 1981 was HDM on Rikers Island and a few years later he was transferred to Support Services. On July 2, 1987, Joe was promoted to Captain. During his tenure as a Captain, Joe’s assignments include OBCC for 12 ½ years, Headquarters for 3 years and the Special Operations Division for 8 ½ years. From 2008 through 2011, Joe was in charge of the Department’s Communications Unit. In October 2011, CCA President Patty Ferraiuolo brought Joe down to work full time in the CCA office. Currently, Joe is the registered lobbyist for the CCA. He looks forward to working with the Executive Board to attain improvements for all Captains, be it work conditions, benefits or enhanced protection of our rights through legislation. Joe will work diligently to educate all lawmakers on the difficult duties that Correction Captains perform each and every day. Throughout his career, Joe has always been willing to step forward regardless of the situation. In 2005, he was assigned to the Department’s support contingent sent to Louisiana in the aftermath of Hurricane Katrina. Joe spent over a month there, one of a small group of Captains supervising a team of over 80 correction officers working in four Louisiana State Prison facilities and in New Orleans. Joe also was awarded the Department’s Meritorious Duty medal for actions taken on September 11th, 2001. Joe has always been an active supporter of our Union. He has worked on the Annual Golf Outing which raises scholarship money for our college-bound children, since its inception in 1999. 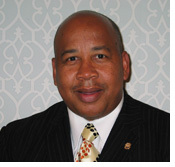 He was a Delegate in OBCC and in SOD and previously served on the Executive Board as the Sergeant at Arms. Captain post and currently is the Clinic Supervisor. 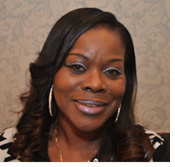 Terri was elected by her peers as the CCA Delegate for BKDC in 2012. Terri has always been a powerful force in the Delegate Body, providing leadership, knowledge, resolution and commitment to representing Captains. Recognizing her dedication and spirit, the Executive Board appointed Terri as Sergeant at Arms in January, 2015. Terri received an Associate Degree in Business Management from Rutgers University in 1986 and a Bachelor’s Degree in Human Development (Psychology) in 2003 from Empire State University. In her Executive Board position, Terri’s educational background will be an asset for the membership.